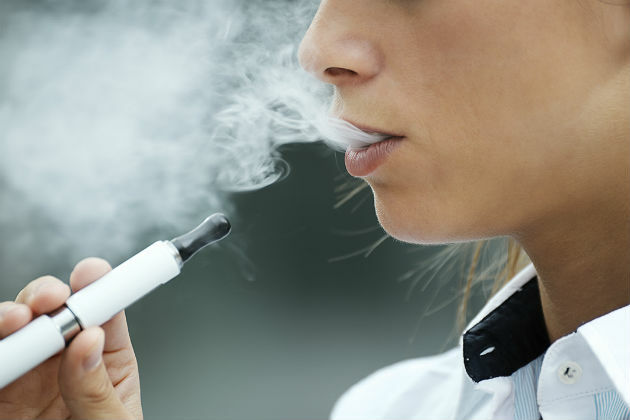 Yet another survey is demonstrating that teenagers are adopting the use of electronic cigarettes at an alarming rate. One of the latest, released in December 2018, is called "Monitoring the Future." It was administered by the University of Michigan and was given to 14,000 eighth-, 10th and 12th-graders across the United States. Other risk behaviors monitored in the survey, such as opioid use, binge drinking, and conventional cigarette use, either remained level or declined. The use of nicotine vaping products showed the largest and most significant increase in any category since the survey began in 1975. Electronic cigarettes are marketed as a smoking cessation aid, but with the numbers of teens adopting their use, they are potentially doing more harm than good. There has been a considerable amount of evidence over the years that these products are attractive to adolescents and teens. This latest survey shows an increase in usage from 11 percent to 21 percent among twelfth-graders in the past year and an increase from 8 percent usage to 16 percent among 10th-graders. "Vaping is reversing hard-fought declines in the number of adolescents who use nicotine," said Richard Miech, the lead author and principal investigator of the study. "These results suggest that vaping is leading youth into nicotine use and nicotine addiction, not away from it." Miech went on to comment, "Vaping is making substantial inroads among adolescents, no matter the substance vaped. In 2018 we saw substantial increases in vaping across all substances, including nicotine, marijuana, and adolescents who reported vaping ‘just flavoring.’ Factors that make vaping so attractive to youth include its novelty and the easy concealability of the latest vaping devices, which better allows youth to vape without adults knowing about it. If we want to prevent youth from using drugs, including nicotine, vaping will warrant special attention in terms of policy, education campaigns, and prevention programs in the coming years." There was a near doubling of the use of vaping for marijuana products in all age groups. Twelfth-graders’ usage went from 4.9 to 7.5 percent; 10th-graders from 4.3 to 7.0 percent; and eighth-graders rate increased from 1.6 to 2.6 percent. Efforts to regulate the marketing and sales of electronic cigarettes seem to have fallen short. Further, there are an increasing number of products, both nicotine and marijuana, that are what appeal to youth. Research shows that it is not just the drug that is appealing but the sweeter flavorings that enhance the pleasure and create a greater enjoyment of nicotine vapes for those who would otherwise not respond positively. The use of flavoring in marijuana vape products attracts younger, teen and adolescent user populations. Nicotine and marijuana are harmful to developing brains, vascular systems and lungs. Much more needs to be done to prevent the lifelong health, work and social difficulties that the vulnerable youth population will suffer with the use of electronic cigarettes.